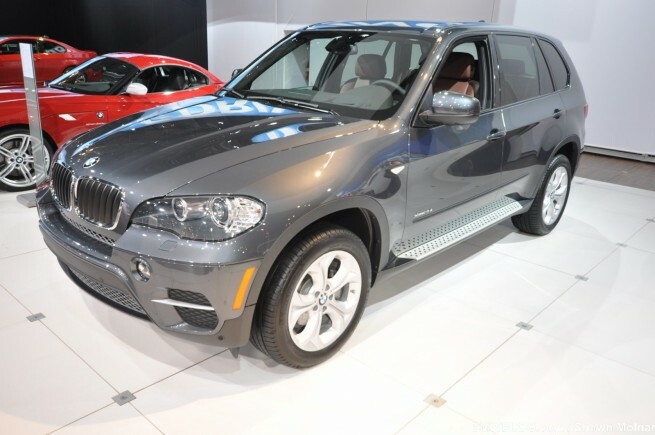 Our New York Auto Show coverage begins with the 2011 BMW X5 LCI, a North American debut. The changes in the model year 2011 are quite significant, both in terms of exterior design, but most important, underneath the hood. The front-end goes through an extensive facelift, the lower front bumper/fascia have been lifted and given a little redesign from the X6, offering an appearance that makes the front end look lower and more aggressive. It also allows for wider air openings to feed the larger and more powerful engines more air. To go along with what BMW has been doing lately for the 3-Series LCI, 335is, and F10 5-Series, the X5 features corona rings that are full LEDs. The rear taillights get a new L-shaped LED design as well. The outgoing X5 had three engine types, the X5 xDrive30i, xDrive48i and xDrive35d. While the diesel xDrive35d survives, the 30i and 48i die are being phased out. In to replace the outgoing naturally aspirated 3.0-liter inline-6 and 4.8-liter V8 are the N55 twin-scroll single turbocharged 3.0-liter inline-6 making 300hp and 300lb-ft of torque, as well as the twin-turbo 4.4-liter V8 making 400hp and 450lb-ft of torque, similar to the engine in the X5 and X6 M models. So it will now be the X5 xDrive35i and xDrive50i, same with the X6. Zero to sixty times are estimated at 6.4 seconds for the 35i and 5.3 seconds for the 50i. Which is drastically faster than the past engines. In order to reign all of this power in, an all-new 8-speed steptronic automatic, of which you see in the 5-Series GT and the 760Li. The new transmission weighs no more than the 6-speed model it replaces, and offers better gearing for lower speeds and rpm to make the X5 faster from a dig. It also adds the two extra gears up top to help with efficiency at highway speeds. You can also select gears manually, as always before, by pulling the gear shift closer to you and pushing and pulling the shifter forward or back (-/+). 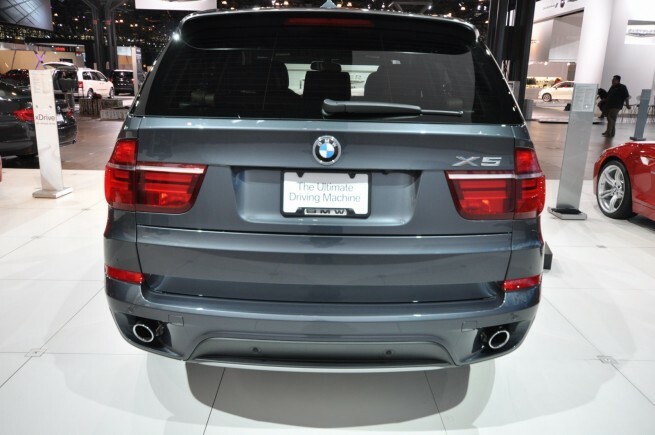 We will have a chance to test drive the X5 LCI in two weeks and we’ll make sure to report back our findings. 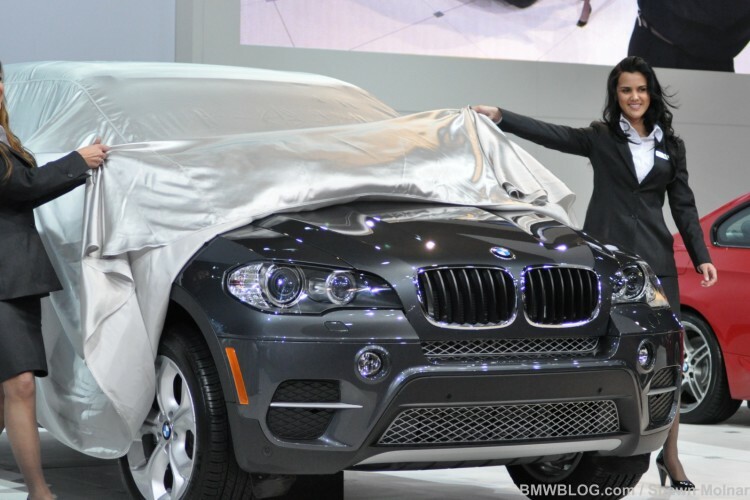 BMW X5 and BMW X6 present a new range of special options for spring 2011.